Hersey Kyota became Palau’s ambassador to the United States on November 12, 1997. Kyota obtained a bachelor’s degree in Art in 1977 and a master’s in Art in 1979, both from the United States International University in San Diego. 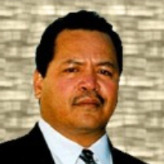 He was a legal researcher for the Palau House of Delegates from 1981 to 1984. He then became the chief clerk for the Palau House of Delegates in the Palau National Congress from 1985-1988. Kyota served as the director of the House Legal Counsels’ Office from 1989 to 1990. He served as a senator in the Palau National Congress from 1990 to 1996.